Rajasthan, literally, means place of Rajas or Royals and entire Rajasthan still exhumes the aroma of medieval period. It is located amidst the oldest mountain ranges, the Aravalli Ranges and has been an important part of cultural and commercial exchanges between various civilizations of the world. Every place of Rajasthan is studded with amazing assortment of heritage, history, culture, traditions, folk music and colorful folk life. Rajasthan is the best place for the travelers who love to explore the vibrant culture and well preserved traditions. The reasons as to why to visit Rajasthan lies in its various famous destinations which are known by sobriquets like Pink City, Blue City, Lake City and Golden city. I wanted to see life beyond this and hence wanted to explore Rajsthan my way i.e. self drive road tripping. For a self drive aficionado like me, after having driven in deadly mountain roads in Himalayan state of Himachal and Uttaranchal, this time call for actions reverberated from golden sand dunes of Great Indian Desert of Thar spread in the Rajasthan state of India and some part in Pakistan as well. Once in Rajasthan, you have a wide range of things to cover. Formidable and magnificent forts, tale of legends, mesmerizing havelis/mansions of Baniya traders, folk deities, varied landscape comprises of golden sand dunes, lush green forest and blue water lakes. It has something for everyone and it is impossible to return without being affected by the mysterious charm of royal land. 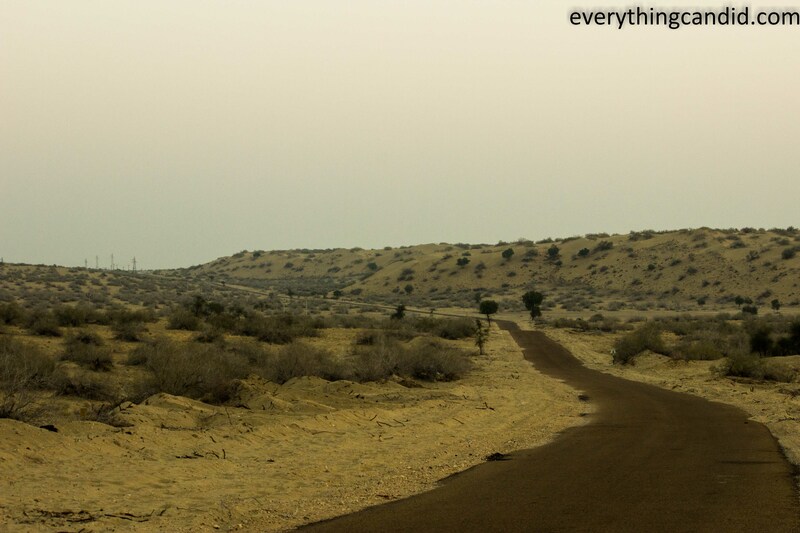 My idea of exploring Rajasthan, however, was to drive thru desert in Jaisalmer, go deep in desert riding on a camel in Bikaner to experience the arid yet serene vastness of nature, appreciate the architectural marvelous of havelis/mansions in Mandawa, Bikaner and Jaisalmer, get mesmerized by ever revered rats of the Karni Mata Temple, spend a day in the only living forts of the world i.e. 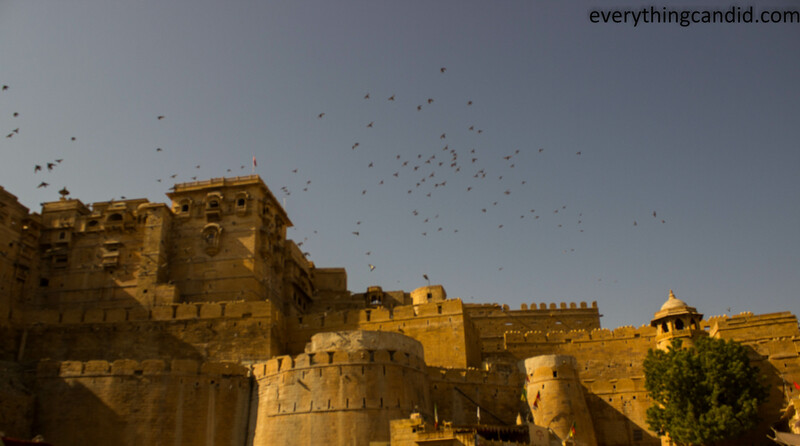 Golden Fort of Jaisalmer, pay my tribute to the Tanot Mata at border location in Jaisalmer and last but not the least see the art of concocting the Bhujia in Bikaner. 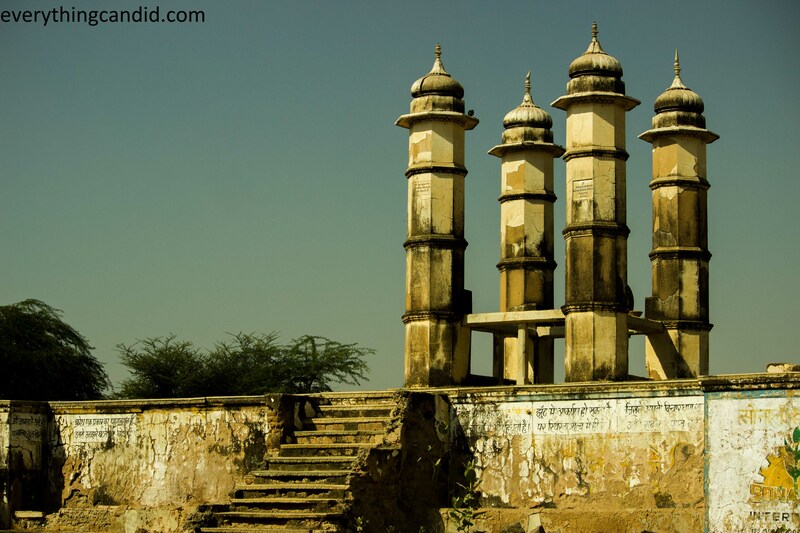 Structure on Water Well: Prevalent in Shekhavati Region of Rajasthan. Water has always been most precious resource in Rajasthan. 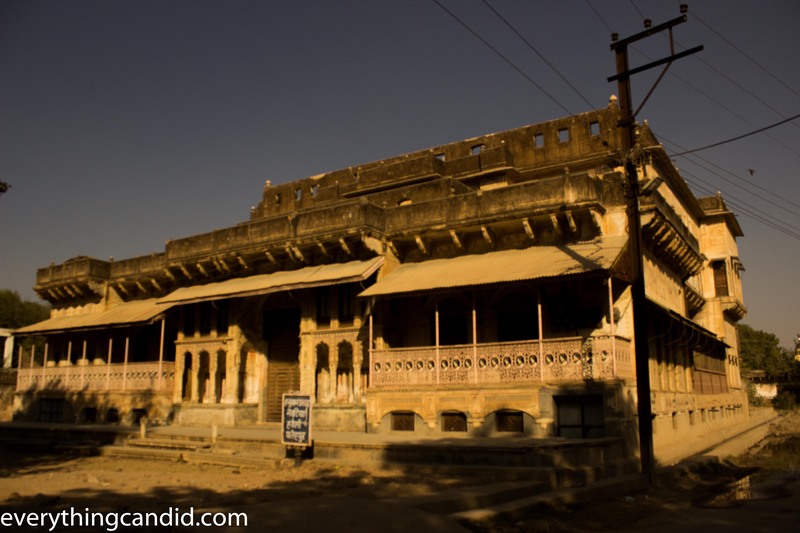 Haveli in Mandawa: Mandawa is famous for colorful Haveli Facades. This town is known as world’s biggest open art gallery. 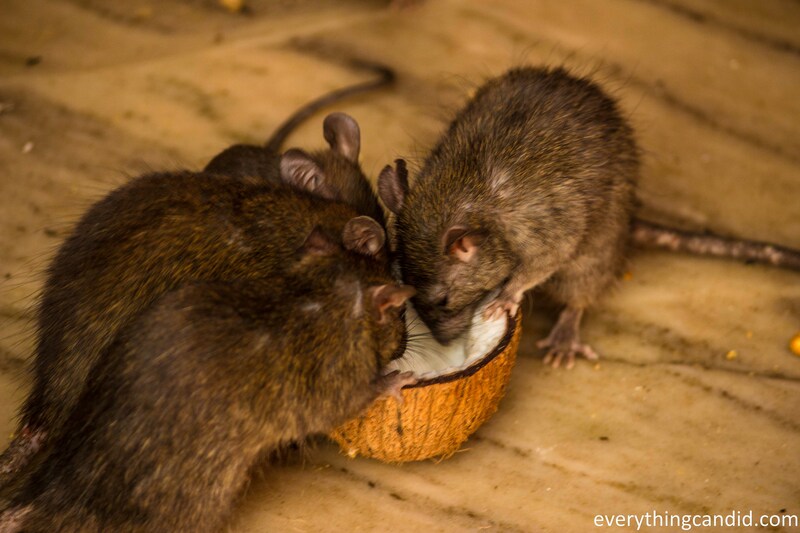 Karni Mata Mandir: Famous Rat Temple near Bikaner in Deshnok. So in five days, I did multitude of things and most of them qualifies for first time in life experience. 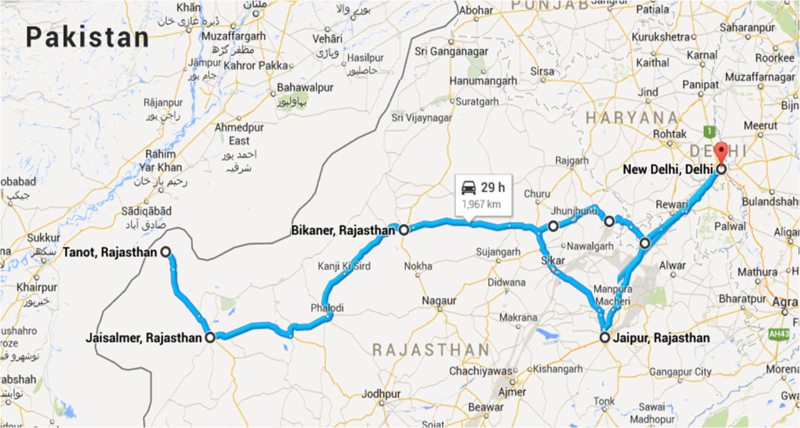 *And at last did a 900 KM Self drive from Jaisalmer to Delhi in straight 12 hours. 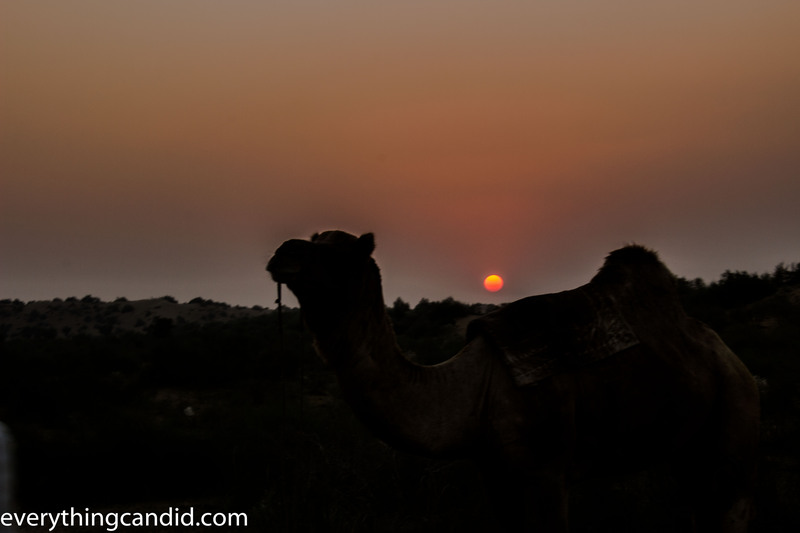 All in all, it was a great trip and i could see the royal world of Rajasthan and enjoy desert life at its best. Will I go back? Absolutely yes and very soon as everything about Rajasthan is off-beat and adventurous. Travel Tip for Rajasthan: Over so many years, it has developed very good infrastructure for tourism. In my view, with ts multitude offering, Rajsthan is all about experiences. So I strongly recommend to opt for a reliable Rajasthan Tour Package in advance which includes all the associated activities at each place like Desert Safari in Bikaner, Desert Camping in Jaiselmer, Bishnoi Village Safari around Jodhpur, Photowalk tours in old city of Jaipur etc depending upon your way of traveling. What do you think of this travel. Please share your story of Rajasthan. Thanks a lot to Team Blogadda. would appreciate if you can give in more insights, let me know how can we connect. The architecture as well as the starkness of the desert was incredible. I always look forward to ur comments. indeed it was very amazing and mesmerizing. Himanshu, everything about your journey is so amazing….you have covered Rajasthan very beautifully and presentation is real what actual Rajasthan is and what shall be expected. liked the way you have potraited your experience. Hats off to your passion. I have activated email subscription also, please subscribe. I visited Rajasthan recently, and Jaisalmer was a completely unique experience. But the day we reached there was some stand storm and we couldn’t put a tent outside. Anyhow, the whole camel riding experience on the sand dunes was amazing! We find jaisalmer really very amazing. 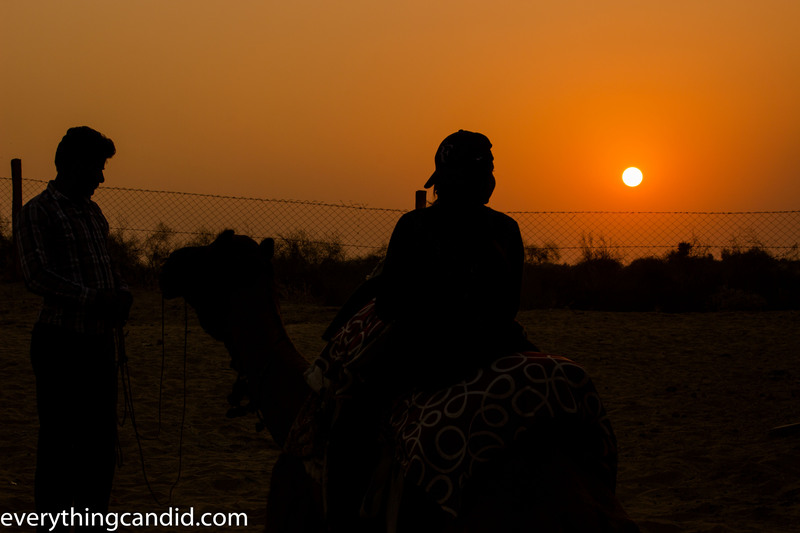 I did desert safari around Bikaner this tine and wish to do the same in Jaisalmer and Jodhpur as well in furure. 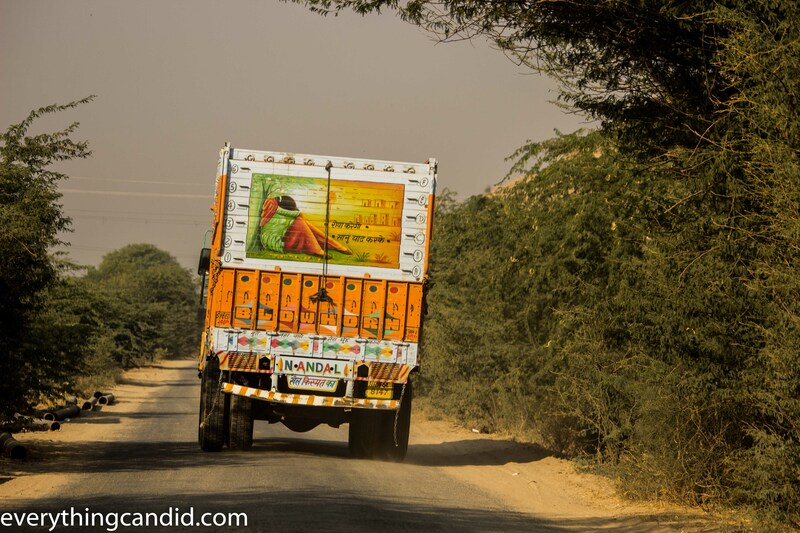 I also drove recently from Ahmedabad to Jaisalmer with family. Man, it was awesome!! So true. 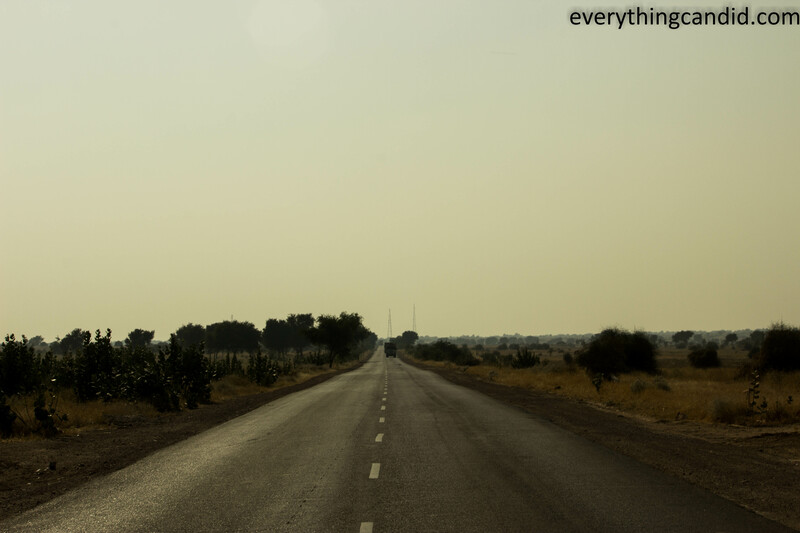 Jaisalmer is really an awesome place and road to Jaisalmer from either ways are superb. Amazing experience brother. 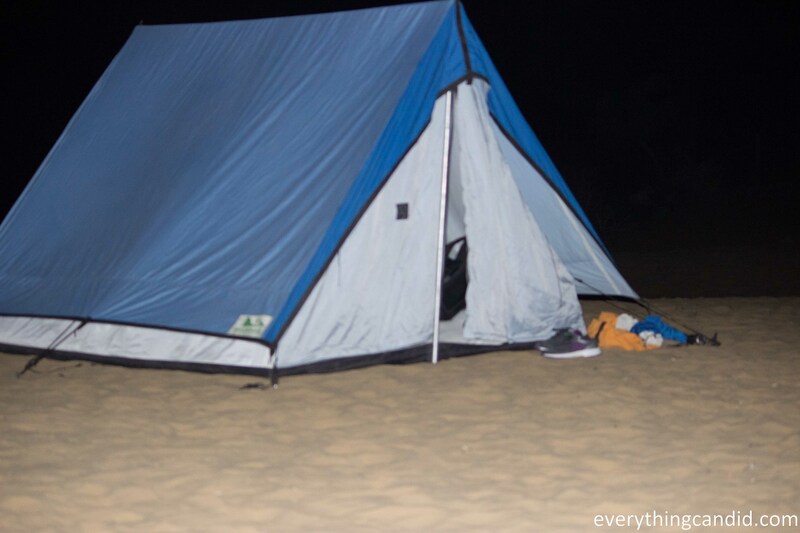 Camping in the desert sounds awesome. And beautiful pictures. 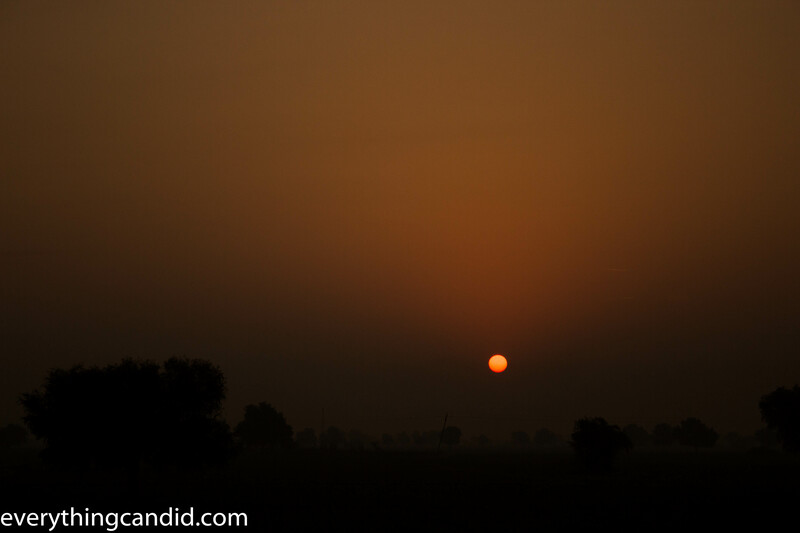 Rajasthan has a different charm to it and every click comes out so well there. BTW, I am thrilled with the way u have evolved as blogger. Enjoying ur blog. 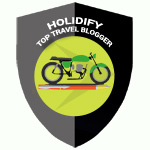 Thanks team BlogAdda. Best day for this 3 months old blog. I am sure you had a great time exploring this great landscape and incredible monuments. Very nice documentation of an extraordinary trip. Thanks for dropping by and liking my post. 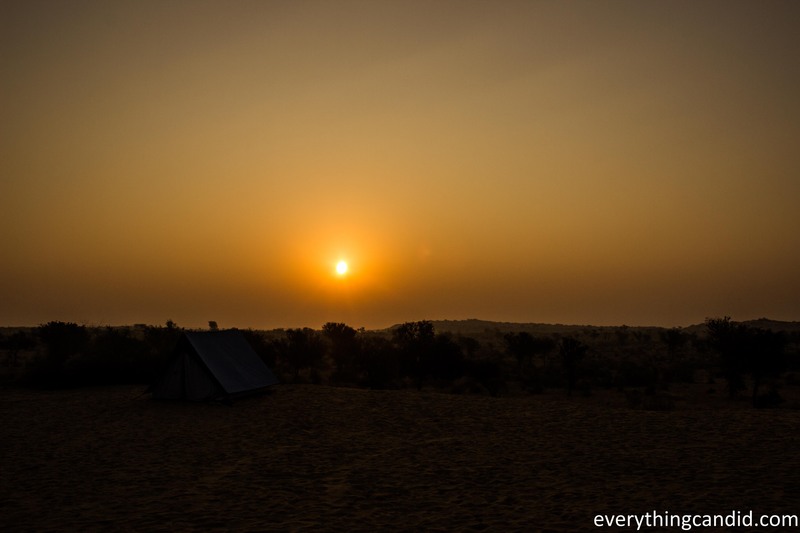 Night camping in sand dunes and watching the sun rising in the desert …i think is a wonderful thing to experience… great travelogue! very nice read! Oh Yes everything abt the camping was awesome and humbling. wonderful post you have.you tiring in your post colcher , camel riding, sun set etc. it is all touch my hart you such a very good post and the images to your post is so wonderful. Thanks a lot. Your appreciation means alot. Stay connected. Thanks Andrea. Whenever you plan india pls feel free to connect with me. And indeed, Rajsthan is a fascinating place for people since centuries. Wow that’s a beautiful experience driving around and seeing these stunning places. I would love to do that too . Thanks. ROad trip gives the freedome to explore places at my own pace and hence i love this way of traveling. Thanks for droppinng by. C U again. Your pictures are stunning! Congrats! We love road trips. The route you did sounds a bit challenging for a tourist. I like it! Thanks. And good to know felllow bloggers who love road trips. C u again. What an incredible journey and the photos you have shared with us, make it look very appealing to visit. 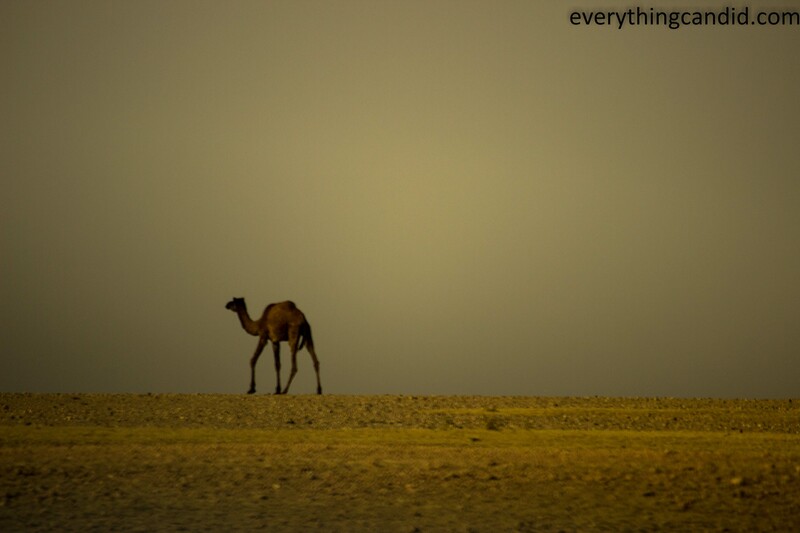 Rajasthan offers best desert vistas… you would love it. Make it a part of your bucket list. What an incredible five days! I love the photos; you’ve really captured the essence of your journey. I especially love the camel walking across the road! Thanks Kim. Really appreciate your encouraging words. 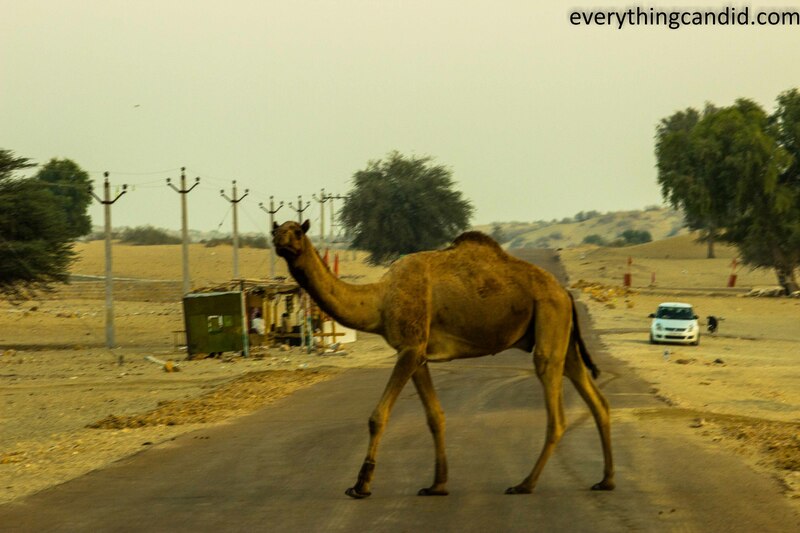 Rajsthan offers best road side veiws of Camel. 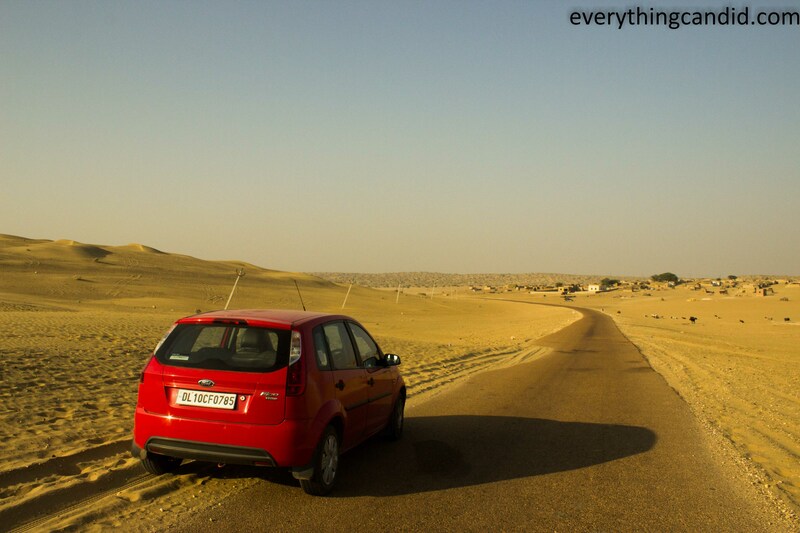 Plan a trip to this desert in western india and you will be mesmerized. A Rat Temple? well, my kids loved seeing that. 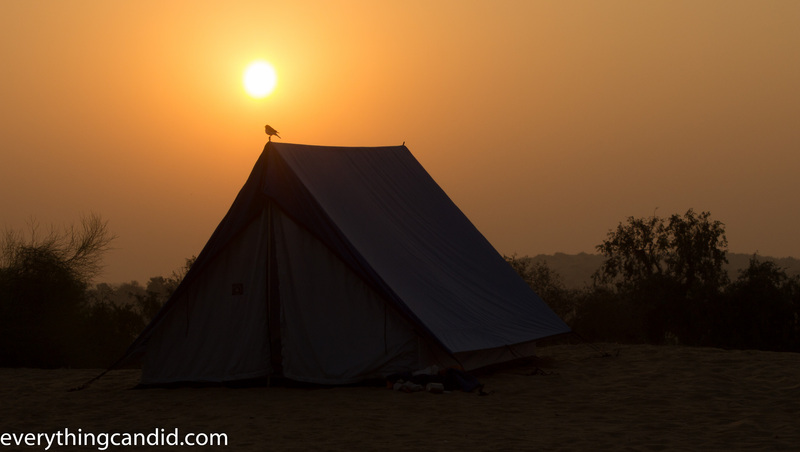 And the camel crossing the road, and the bird perched on your tent. Looks like a great adventure! Thanks. This trip was awesome. Your trips sounds very nice! I would love to ride a camel and sleep in the desert! The scenery is breathtaking! What a wonderful trip. I have never ridden a camel neither have I been to the desert. Those are the two thing on my list. 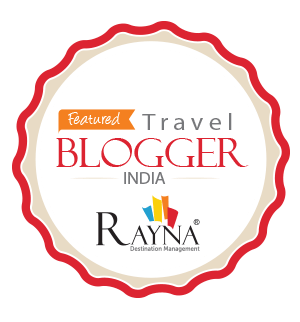 I like the architecture of the Karni Mata Mandir and the Rampuria Havelis in Bikaner. Thanks. 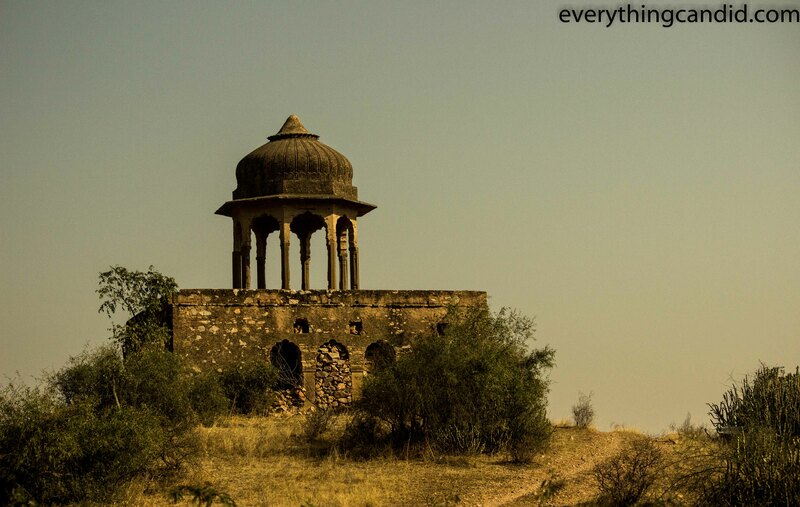 Rajsthan is full of glorious past and heritage. 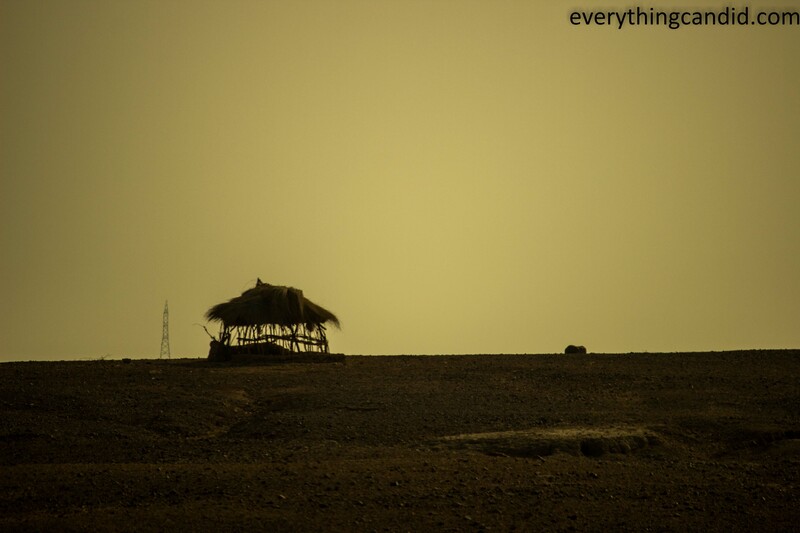 Desert of india is full of stories. Good that i could inspire you. I am very fascinated with India and it’s culture. Would love the chance to visit and travel the country extensively! Great post! That sounds like an incredible trip! Both the sunrise and the sunset look incredible and you documented your journey beautifully! Thanks. Vastness of desert augmented the AUra of the Sun. Keep visiting… c u soon. I love this. But the rat temple though, yikes! But you will love the temple for its uniqueness. It indeed was awessome. Thanks. I envy you for this journey. Hopefully, I can visit Rajasthan / India once in my life too. It looks amazing! Loved the pictures. Thanks. Whenever u plan, feel free to connect with me. And c u again. Like many tourists, we had limited time when in this area ourselves, which is a shame, because it looks like we could have seen so much more local culture if we had been able to get a little more off the beaten path! The desert is really beautiful and the sunrises are something really special. Looks like a great drive. 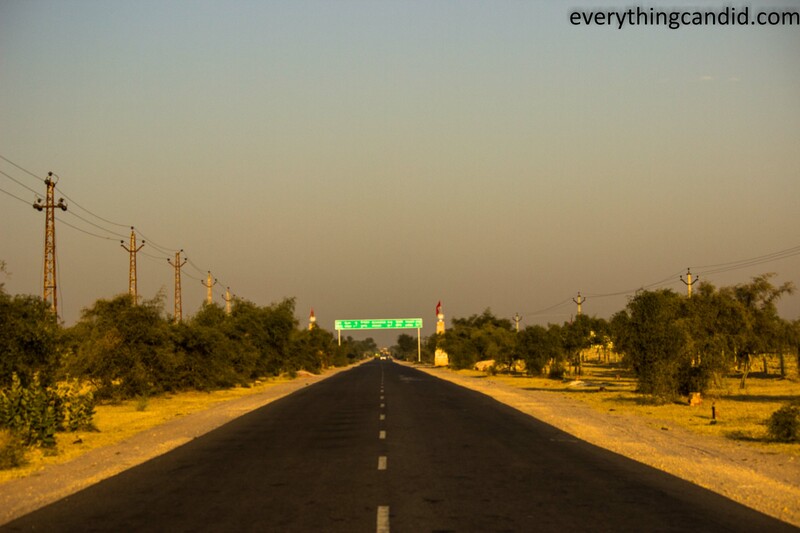 Drive to Rajasthan is awesome. And a must try. Ha ha…. it indeed was a gret trip. Thanks. 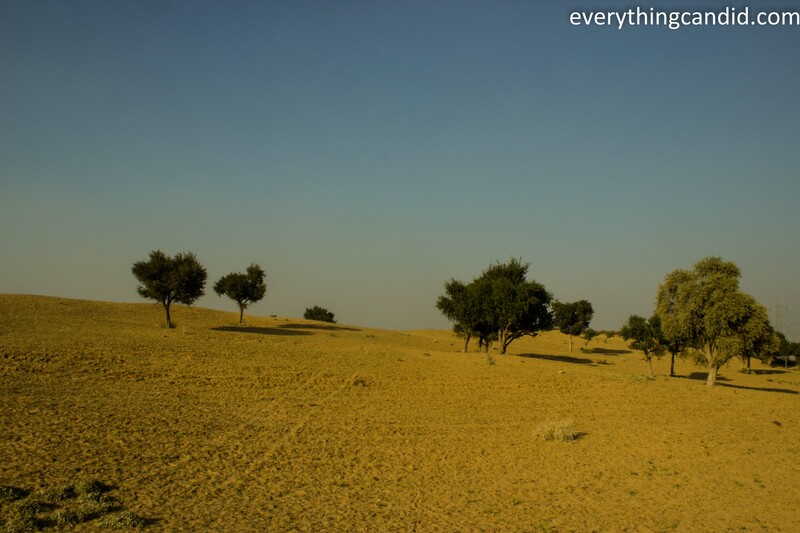 Thar desert and Rajasthan offer a lot many things for travellers… must visit this place which is full of history and heritage. 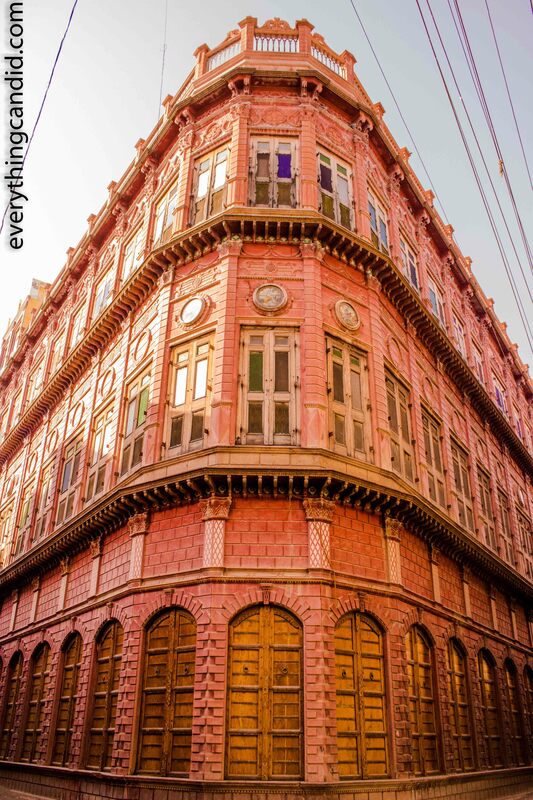 Thank you for this blog with amazing photos of Bikaner. 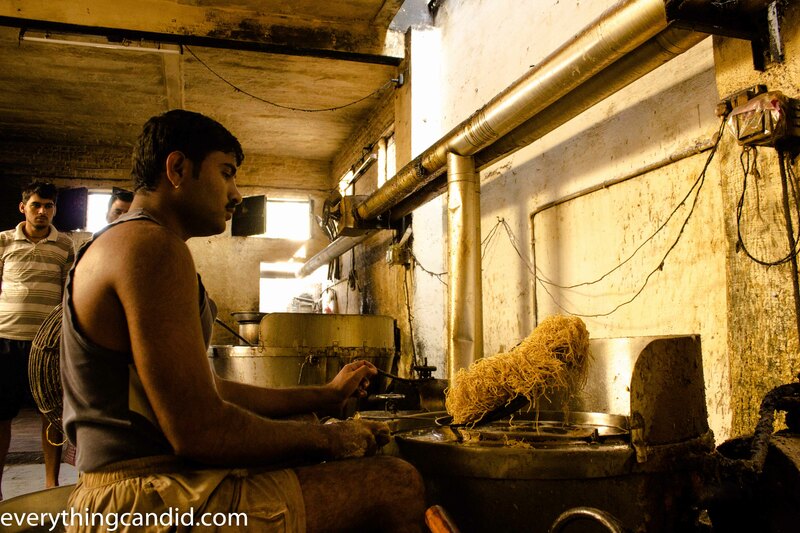 Bikaner is a vibrant, dust-swirling desert town with fabulous forts. 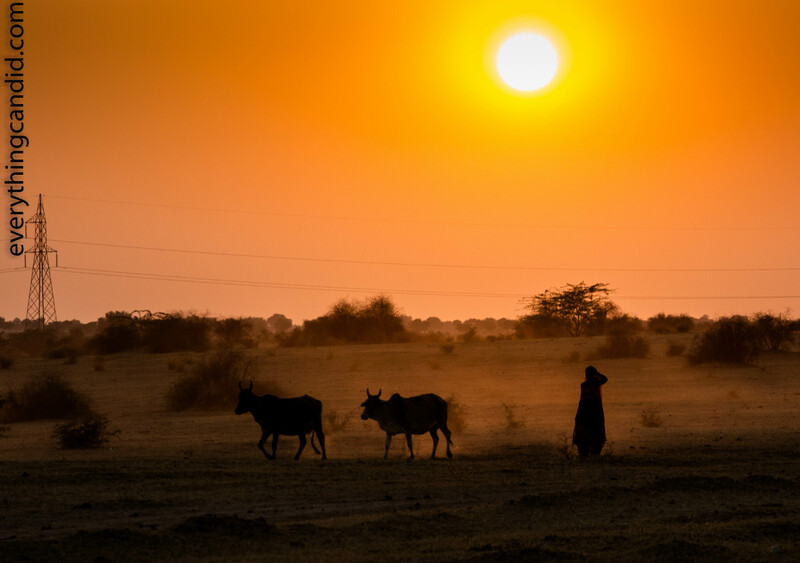 It’s less dominated by tourism than many other Rajasthan cities, though there are many places to visit in Bikaner full of amazing flora and fauna to explore. Thanks Debosmita. 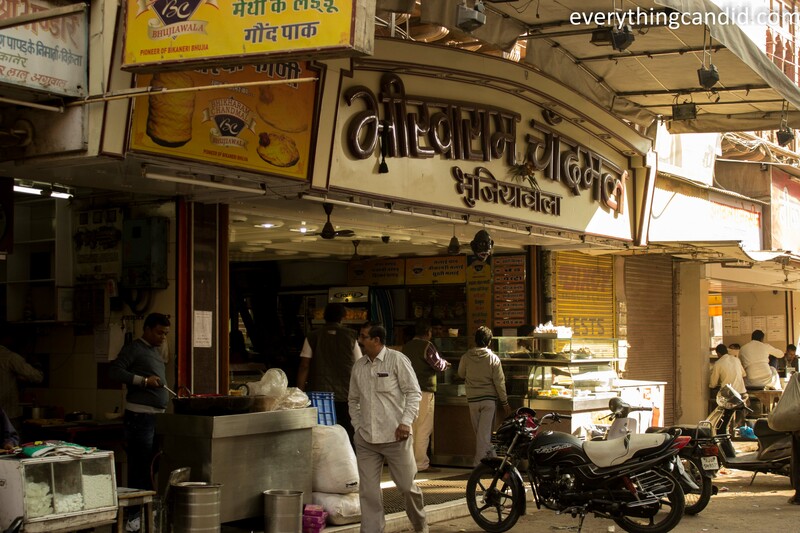 I agree, Bikaner has alot more to offer. Would be visiting again to explore more. Thanks for the link. looks like a great road trip. 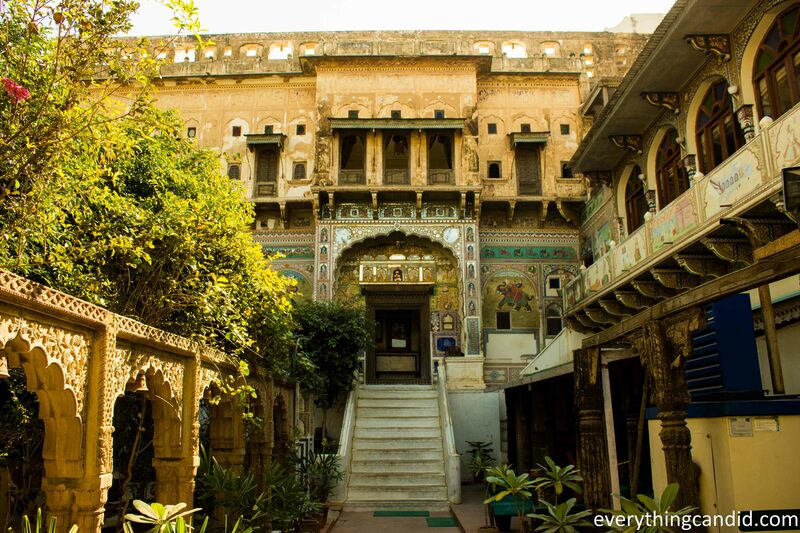 Rampuria Haveli is one the most famous havelis of Bikaner. 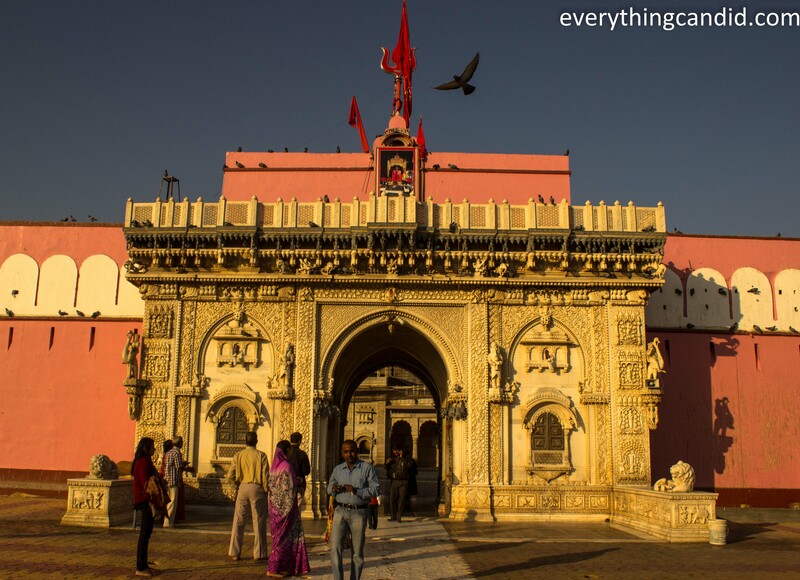 Next time you’re in Bikaner do check out the temple of Bhandasar Jain temple. It’s one of the most beautiful temple of the region. Hey Arv, thanks for this reco. Will visit Jain Temple next time. Thanks for a beautiful insight. have been looking for a destination. This helped me freeze one. would appreciate if you can help with few more details, let me know if we can connect. Hii Akash, Good to see you.